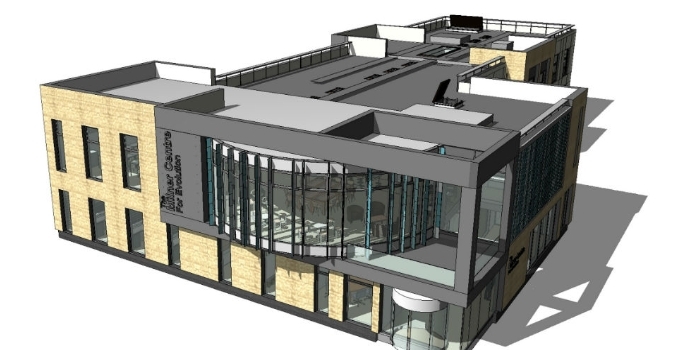 The University of Bath has submitted a planning proposal for the building of the first centre for evolution in the UK that will bridge the disciplines of biology, health and education. The Milner Centre for Evolution, part of the University’s Department of Biology & Biochemistry, will be the first UK centre to combine fundamental, applied and education research. It signals Bath as a unique hub of excellence for world leading research in this scientific field. The Centre is named after alumnus Dr Jonathan Milner, who graduated in Biology & Biochemistry in 1988 and donated £5 million last year towards establishing the Centre. The Milner Centre for Evolution will focus on three areas: asking fundamental questions of evolution; finding new technological and clinical applications; and taking evolutionary research into the community. The proposed building, located on the south side of the lake on the University’s Claverton Down campus, will comprise of offices, laboratories and a seminar room, as well as a collaborative work area for researchers to gather and share ideas. The design includes viewing areas of the laboratories so that schools and other visitors can watch scientists at work. There will also be educational outreach and public engagement spaces to allow exhibitions and visits by schools and other groups. Professor Laurence Hurst FMedSci FRS, is Director of the new Centre. He said: “This is a really exciting venture for Bath. We have a wealth of expertise in evolutionary science at the University, including fundamental research describing new species of dinosaurs, and applied study, for example tracking bacterial epidemics in real time, and identifying the ‘holy grail’ of human stem cells. The Milner Centre for Evolution comprises of a group of 19 academics with a current combined research portfolio of over £5.6 million. Academics and their research groups are from within the fields of biology, biochemistry, health and education. Following planning approval, construction is likely to start in the autumn. The new Centre expected to open in December 2017.